Fill in your details below and we will let you know within 24 hours if we can get Deception: Murder in Hong Kong to you with haste! 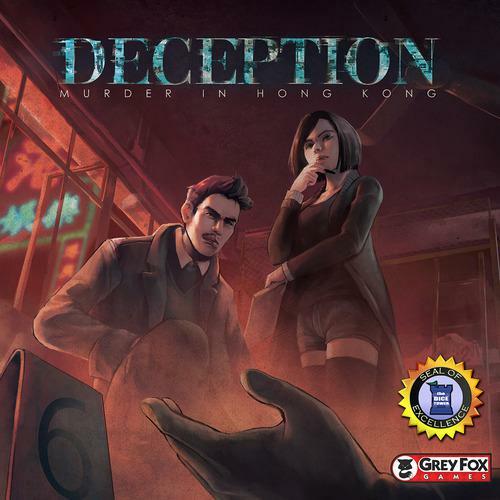 Deception: Murder in Hong Kong is a game of deduction and deception for 4-12 players which plays in about 20 minutes. In the game, players take on the roles of investigators attempting to solve a murder case – but there’s a twist. The killer is one of the investigators! While the Investigators attempt to deduce the truth, the murderer’s team must deceive and mislead. This is a battle of wits! Find out who among you can cut through deception to find the truth and who is capable of getting away with murder!